Common Tern (Sterna hirundo). Taken on Inner Farne, Northumberland, on June 4th 2008. Taken on Inner Farne, Northumberland, on June 4th 2008. Common Tern (Sterna hirundo). Taken at Farmoor, Oxon., on August 17th 2014. Taken at Farmoor, Oxon., on August 17th 2014. Common Tern (Sterna hirundo). Juvenile. Taken at Farmoor, Oxon., on August 17th 2014. Juvenile. Taken at Farmoor, Oxon., on August 17th 2014. These silvery-grey and white birds have long tails which have earned them the nickname 'sea-swallow'. They differ from the Arctic Tern in having a black-tipped beak and shorter tail streamers. 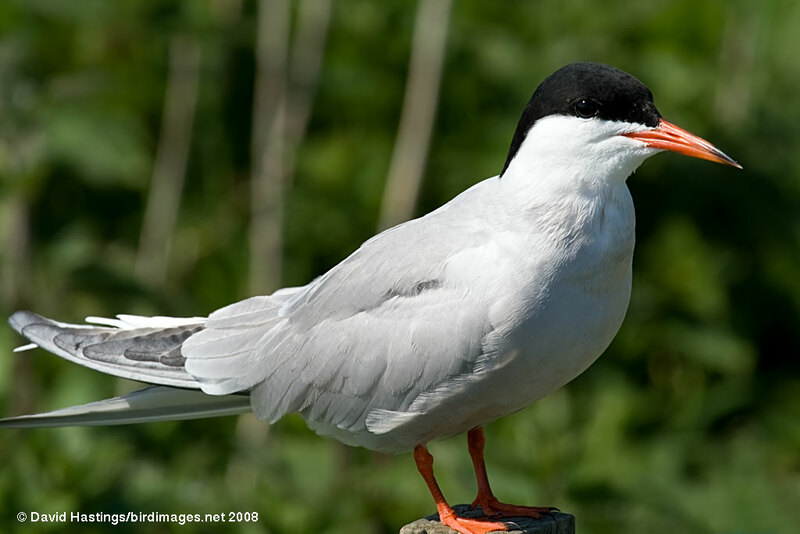 The Common Tern is found in northern Europe in the summer. Birds migrate to west or south Africa for the winter. It breeds along coasts with shingle beaches and rocky islands, on rivers with shingle bars, and at inland gravel pits and reservoirs, feeding along rivers and over freshwater. 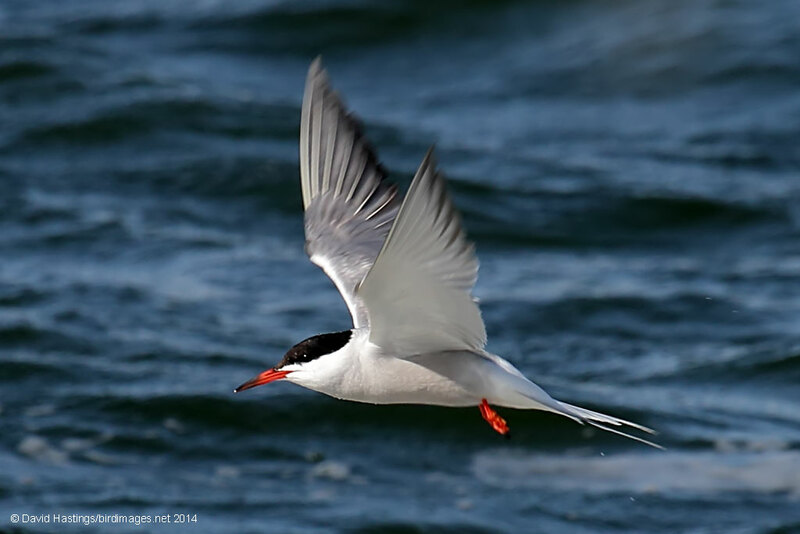 Common Terns have a buoyant, graceful flight and frequently hover over water before plunging down for a fish. Adult birds are successful in one fishing attempt out of three. This species has 'amber' status on the UK list. Around 12000 pairs breed in the UK.